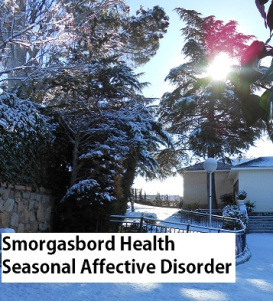 Smorgasbord Health – Seasonal Affective Disorder – Part One – The way we were! An interesting and informative post from Sally on Seasonal Affective Disorder. One to get us through the next couple of months. On the off chance that some eminent scientist involved in the extensive research over many years into the cause of Seasonal Affective Disorder might stumble upon my blog……..you never know!!! I am not going to apologise about my theories as to the cause of this alleged disorder that affects millions around the world as their days become shorter and the nights longer. We are now in the last two months of winter and having moved to Ireland at the end of April last year this has been my first Irish Winter for fifteen years. And I know that my body has noticed the difference.